Visiting India and Nepal for a Buddhist Circuit tour is one duo, you shouldn’t miss. Being an ardent devotee, traveling to these two places would cover all the regions which were important in the life of Lord Buddha. Enlighten yourself and embark upon a journey which would be religiously illuminating. 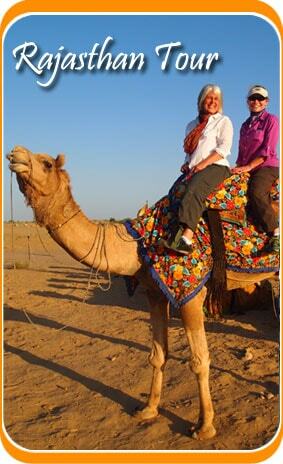 We at Travelsite India would love to give a mesmerizing treat through this package. After your arrival at Delhi, check into the hotel pre-booked for you and stay there for the night. This morning, visit the monuments of the place like The Jama Masjid, Red Fort the Qutub Minar, Humayun’s Tomb and the President’s house. In the evening you can also go for a light and sound show at Red Fort. Return to the hotel in the night and dine and stay there. Proceed towards the Delhi Airport and board a flight to Kathmandu. Upon arrival check into the designated hotel and relax a little. Thereafter go and visit the Kathmandu Valley. You can also visit the Mahakamana Temple as you travel through a cable car to reach there, which would be of 15-20 minutes long. You can get spiritually connected to god through a Darshan at the Pashupatinath temple which is located at the river Bagmati. Stay at the hotel for the night. This day would completely be dedicated to the visit through the city of Kathmandu. The first place that we would visit would be the Guhewari temple, Swayambhunath Temple and the Boudhhanath Temple. As the day ends, check into the hotel and dine and stay there for the night. This day we would be spent completely exploring Kathmandu and its vicinity. You can visit various Buddhist Temples of the city and not forgetting the grand Hindu Temples. 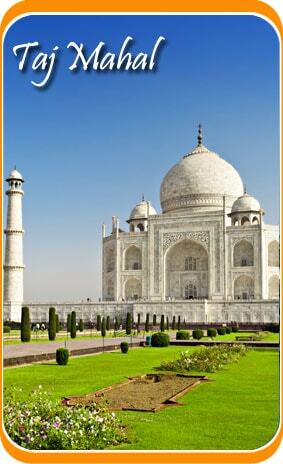 This city is full of architectural wonders with its stone carvings and metal carvings on the Temples. Stay at the hotel for the night. We would today drive to Chitwan, which is a park located in the Terai region of the Himalayas. This park is known for the abundant variety of species of flora and fauna that exist here. It is home to the one – horned Rhino, the crocodile and the Royal Bengal Tigers, which are considered exotic all over the world. Enjoy a Jeep safari in the park and in the evening return to the hotel for overnight stay. After breakfast we would now drive straight to Lumbini after covering places like the Mahaparinirvana temple and the stupas. Check into the hotel as you arrive at Lumbini. Thereafter we would go and visit the Vietnam temple, Maya Garden Buddha Stupa, Japanese temple, Chinese temple and Asoka Pillar. In the evening we would go to the Maya Devi temple. Stay at the hotel for the night. We would now move to Kushinagar by road. As you arrive check into the hotel pre-booked for you. Relax for a while and then visit the Makutbandan Stupa and the grand statue of reclining Buddha. Then we would go to visit the Niravana Temple Pramabhar Stupa, cremation site of Lord Buddha. Stay at the hotel for the night. We would now drive towards Patna. Upon arrival check into the hotel pre-booked for you. Spend the rest of the day at leisure. You can also venture into the streets of Patna and enjoy the ambience, also the local cuisine. In the evening, go about and visit the Patna sahib and Patna Museum. Stay at the hotel for the night. Leave for Bodhgaya, today. En-route visit Nalanda and Rajgir. Upon arrival check into the hotel and relax for a while. After lunch you can go and visit the Niranjana River and the Sujata Village. You can also take a walk around the vicinity. Stay at the hotel for the night. Visit the Mahabodhi Temple, the Vishnupad Mandir and the Bodhi tree, which are the main attractions of the place. In the evening you can take a leisurely walk around the place and relax at the bank of Niranjana Temple. The next morning travel to Gaya Railway station and board a train towards Delhi. Overnight in the train. As you reach the station at Delhi, our representative would take you to the hotel pre-booked for you. You can go about the markets of the place and take souvenirs of the journey. Then board a flight to your home country. Your India and Nepal for a Buddhist Circuit tour ends here.